The time has come to talk about fantasy earrings. Just as the name suggests it, these usually statement earrings that look as if they have just been taken out of a fairytale. Any woman who wants to draw attention to her gorgeous style needs to have at least one pair of fantasy earrings in her jewelry box. But which pair? When you buy fashion earrings, how do you know which fantasy earrings to choose? That’s where we come in. Read further to discover Ana Luisa’s top pick for fantasy earrings along with a couple of styling ideas. 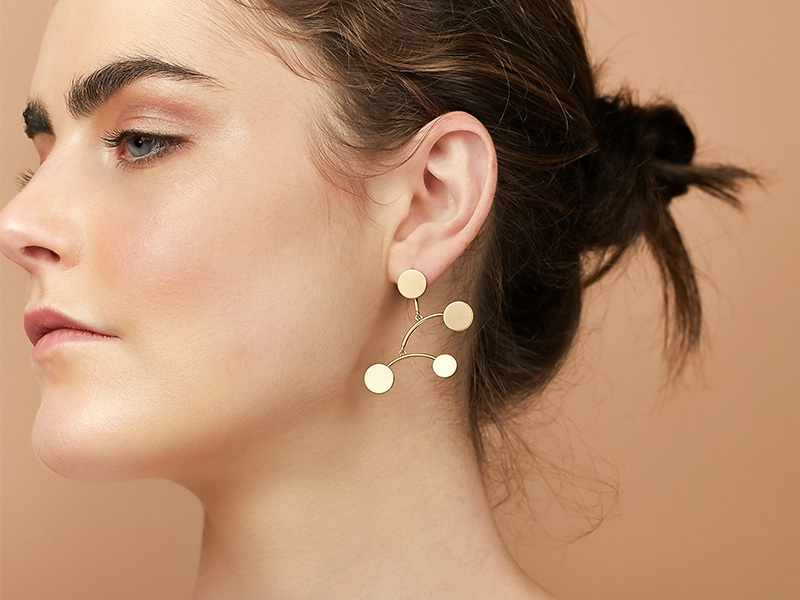 If you want to try a unique pair of fantasy earrings, look no further than our Kinoko collection. For those of you who have a playful style and love to experiment with color, take a look at Ana Luisa’s Kinoko Enamel Earrings in red or blue. Did anybody say Alice in Wonderland? That’s right. Whether you want to get a pair with red polka dots or you are more of a blue-kind-of-gal, these earrings will draw attention to your look. Let your outfit become a canvass for these fantasy earrings and wear muted colors. You can also wear your hair up to let your earrings be visible or try a half-up, half-down style for a playful look. And if you are feeling bold, guess what? You can also get these statement earrings as a mismatched pair. Not too big on polka dots? That’s fine. 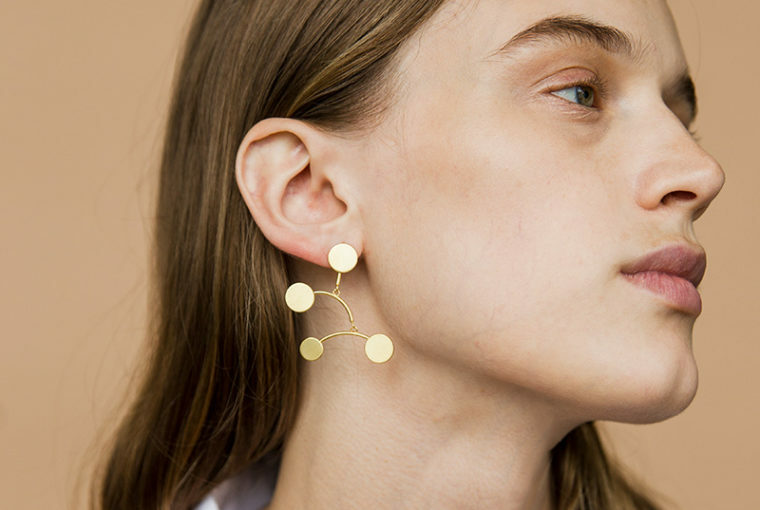 We also feature the Kinoko Marble earrings either in blue or gold. Elegant, sleek and with a unique design, these fantasy earrings are everything you need to draw attention at a formal event. Try a monochrome look by matching the earrings with the color of your gown and shoes and let them become the focal point of your outfit. If you don’t like colorful earrings too much but still want to wear a stunning pair of fantasy earrings, go ahead and try Ana Luisa’s Lily earrings. A unique design by Instagram influencer Lily (@Styleinbeta), these gorgeous earrings will offer you a unique look. Don’t be afraid to wear bold jewelry that will grab attention to your style. Whether you are wearing these earrings to a cocktail night with your friends or to a formal event, they will always look fabulous. Try them with a sequin mini dress to get a fashion icon look or match them to a beige gown to let them become the focal point of your outfit. Regardless of how you choose to wear them, these fantasy earrings will take your style to the next level. Want to try something new? Say no more. 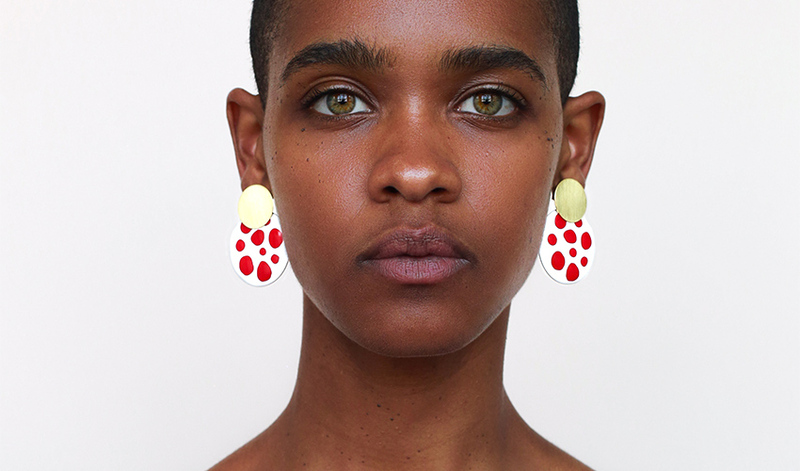 Ana Luisa’s Peggy fantasy earrings are the perfect mix of creativity and style. They are comfortable to wear and have a unique shape fit for a fashion expert. Wear your hair up to make them the focal point of your look. Alternatively, you can wear them with your hair down and let them peak through your hair strands. It will look as if you have tiny droplets of gold floating through your hair. We know some people believe that fantasy earrings are appropriate for formal occasions only, but we beg to differ. 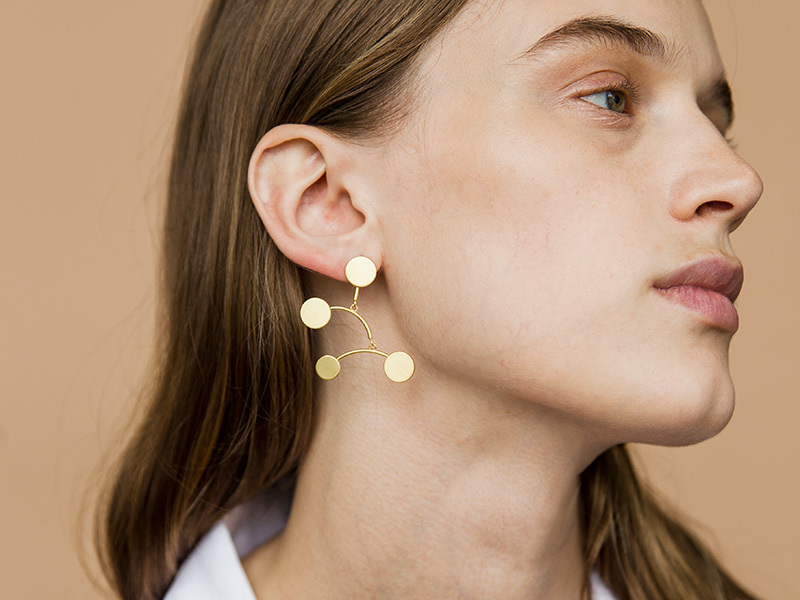 You can wear the Peggy Mobile earrings with a casual outfit as well. Try them with a pair of cuff jeans, a striped shirt and a pair of flat shoes to get a smart-casual unique look. Did anybody just say love? These fabulous fantasy earrings bring color to your life. 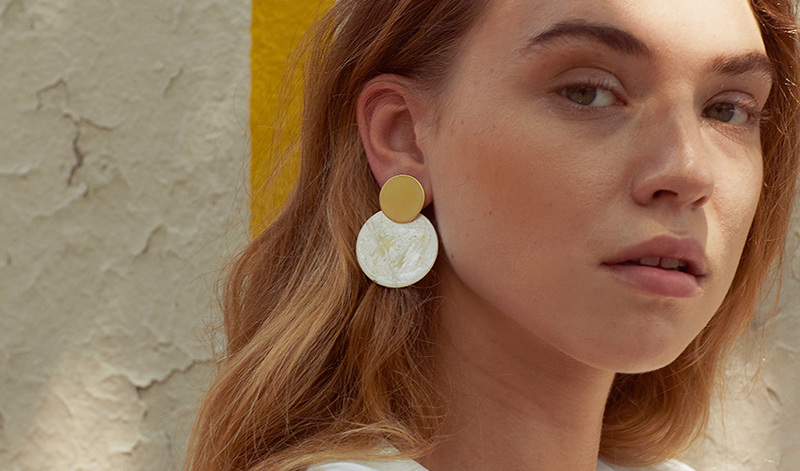 A mix of color and geometry, Ana Luisa’s Love Enamel earrings will become your next favorite jewelry piece. Because of their linear design, they are ideal for women with round faces who want to elongate their features. Here’s a fun idea. You can wear these linear drop earrings with your hair down, but pull it behind the ear in a sleek style. Match the color of your blouse to one of the colors in the earrings. You can also choose a neutral color for your shirt so that your outfit becomes the perfect canvass for these fantasy earrings. And yes, you can wear them to a formal occasion but, since they are versatile, you can even wear them to work. Who said work couldn’t be fun? We know we said fantasy earrings are usually big, but there are exceptions to the rule. And the best example is the flower stud collection by Ana Luisa. Either baby blue or charming pink, these flower stud earrings featuring a center pearl, are very creative and beautiful. They draw attention with their subtle yet stunning design. However, if you want them to be visible, wear them with your hair up. Also, when wearing these fantasy earrings, you can also try a statement necklace that will complement your look. If you enjoyed discovering our top pick for fantasy earrings, continue on this blog. We publish daily articles with inspirational ideas and informative content. Check out our other articles as well and become a jewelry expert. If you want to check out any of the designs featured in this article, visit Ana Luisa online jewelry shop. In our unique earrings collection, you will discover amazing designs at fair prices. Go ahead and visit our online jewelry shop to see a universe of high-quality stunning jewelry.